(1:30) THEATRE APPLAUSE & CHEERING: 6 different recordings of a lively audience at a Broadway show including clapping, cheering and standing ovations. 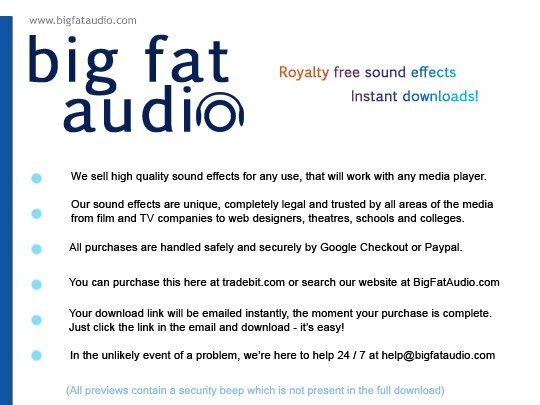 Typical theatre ambience delivered in CD quality WAV format (preview contains a security watermark tone). This sound effect collection is instantly delivered. A download link is automatically generated and sent to your email address when the transaction completes. We are a highly verified merchant and we take great pride in our customer service.